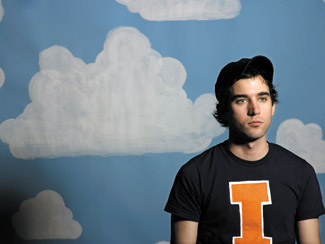 Does the world really need another Sufjan Stevens post? No, no it doesn’t. But as it turns out, everything I had to post today was related to an artist who’s coming through town in the next few months and are (for the moment, at least) on my “to-do” calendar, and Mr Stevens is up first, chronologically speaking. I can’t resist a good meme, no sir, I cannot. NY News Day does some lousy prep work in advance of their interview with Sufjan (Via Largehearted Boy). Dear Ms George – Illinois isn’t his second album, it’s his fifth. Thankfully, Sufjan redeems some amazingly banal questions with decent answers. AZCentral offers up a better piece on the man and Illinois. He’s at Trinity-St Paul’s on September 10. The schedule for Ear To The Ground, going down at Exhibition Place September 15 through 17, is up. Grok the lineups for the Friday, Saturday, Sunday – looks like a helluva thing. Also noteworthy is that Andrew Bird is now appearing as well. Nice. Seattle Weekly does a quick Q&A with Carl Newman about the new New Pornographers album Twin Cinema, out Tuesday (via LHB). Meanwhile, The East Bay Express ponders the New Pornographers’ place in the power pop firmament. They’re at The Docks on October 9. Paste kindly reprints the entirety of their cover story on Death Cab For Cutie from the new issue. Death Cab are also on the cover of the new Under The Radar and really, if Plans does nearly as well as it’s expected to, you can expect to see their earnest faces on a LOT of magazine covers over the next while, not to mention at the Kool Haus on October 15. John Darnielle of The Mountain Goats articulates his vision of a perfect hockey league to PopMatters. The Mountain Goats are at Lee’s Palace on October 17. Paste draws lines from Son Volt 1 through Jay Farrar’s solo work and back to Son Volt the second and his need to rock out again. Farrar and the (new) boys are at the Opera House October 17. The Courier-Journal reports that My Morning Jacket were awarded the number 14 spot on Esquire‘s list of the best-dressed men in the world. Anyone who saw that coming, hands up. LIARS. The dapper gents from Kentucky will be at the Guvernment October 20. Brendan Benson will also be playing The Ear To The Ground on the Saturday. It’s such a great lineup you know it’s going to rain. A lineup like this is too good for it not to rain in a festivals first year of operation. I thankfully found a copy of Under The Radar (with DCFC on the cover) last week; that mag can be so hard to find sometimes! Of all places, I found it in a variety store.